When you purchase scrip, you are purchasing negotiable gift certificates that are used just like cash. The scrip is issued by the national and local retailers where many of you already shop. These merchants want to support non profit organizations, and in return ask you to support them by shopping with scrip at their stores. You can use scrip to purchase everyday expenses like food, clothing, and other essentials, and with every purchase, we earn revenue for our School. The Great Lakes Scrip center acts on behalf of churches, schools and other nonprofit organizations to purchase large amounts of scrip from grocery stores, department stores, and other retailers. Because the scrip is purchased with cash up front, the participating retailers offer a substantial discount. We buy the scrip from Great Lakes Scrip Center at a discount, and re-sells the certificates to you for full face value. The bulk of the discount - from two to fifteen percent or more - is retained by Trinity as revenue. Trinity’s Scrip Program was started in 1999. Did you know that we have raised over $20,000 for our school since that time? We would like to utilize this program even more! 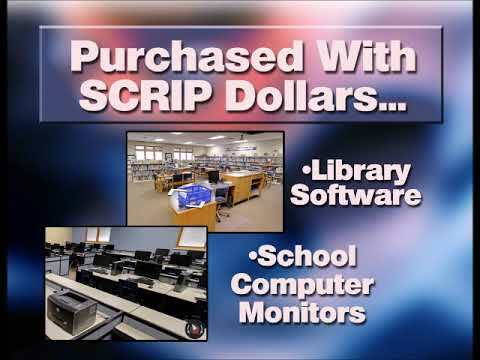 Scrip can currently be purchased in between service in the commons area or at the Best Advantage Credit Union.